Dinah Jane Hansen is both the youngest and tallest member of the girl group Fifth Harmony. Dinah and her group had a very successful year in 2015 after they released the song Worth It, which was a hit internationally. She was born and raised in Orange County, CA and has six siblings. The now pop star, has been singing since the age of four before she was introduced to the world on The X Factor. She is sometimes compared to her idol Beyoncé because of the similarity in looks and the sound of her voice. Dinah is very popular on Instagram where she has more than 2.2 million followers. 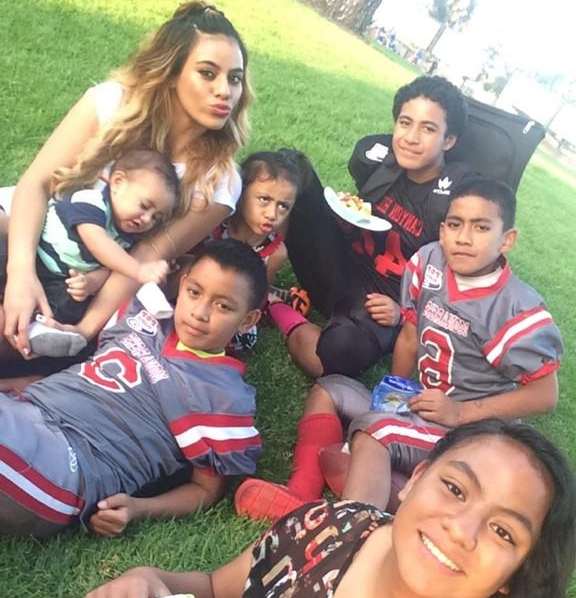 Dinah Jane Hansen and with her 6 siblings here in this picture. Her net worth is estimated to be over $4 million dollars. 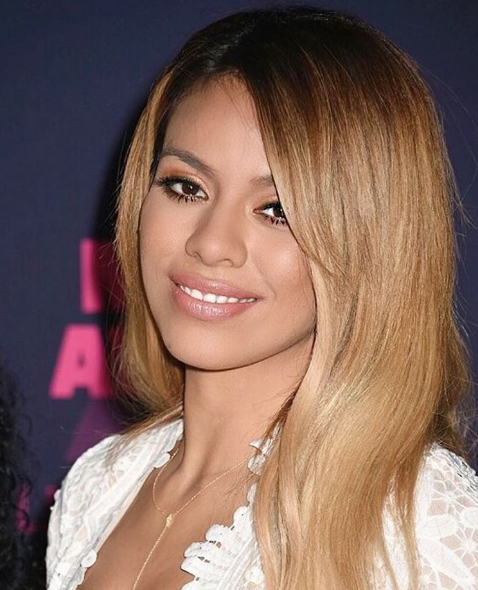 Dinah is dating NFL star Jarryd Hayne, they started the relationship in September 2015. She has previously dated Nela Otukolo and Siope Folau. She is mixed with Tongan and Polynesian heritage. She has a physically fit body which helps in her amazing dancing skills. She is well known for her loud powerful voice. The X Factor, WrestleMania (2016) and American Music Awards 2015 (2015). 1. She met and is now friends with Dwayne “The Rock” Johnson. 2. Her favorite food is Mexican and she loves the color pink. 3. The other members of the group Fifth Harmony are Ally Brooke, Camila Cabello, Normani Kordei and Lauren Jauregui.